Born: 29 July 1865, Durban, South Africa. Died: 1961, Durban, South Africa. 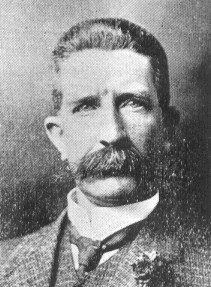 Harold Martel Millar was a son of John Millar, at one time member of the Legislative Council of Natal, and his wife Ellen, born Ayres. He was a younger brother of the naturalist Alfred D. Millar*, and a nephew of Thomas Ayres*, the renowned bird collector of Potchefstroom. Harold was educated at Durban High School and Hilton College, near Pietermaritzburg, and then worked in his brother's legal firm. He became a conveyancer, agent, and attorney of the Supreme Court of Natal, but seems to have spent most of his time in natural history pursuits. In April 1898 he married Johanna P. Zietsmann of Frere, with whom he had three children. After 17 years, some time after 1906, he left his brother's firm to study taxidermy. From 1916 he was director of the zoological garden at Mitchell Park, Durban, but some years later residential expansion caused it to be closed. His interests included sports, shooting and yachting and he became commodore of the Congella Yacht Club. However, his main interest remained in natural history, particularly ornithology and entomology. At the relatively young age of 22 Harold became a member of the first committee of the Durban Natural History Museum, established in 1887, and over the years contributed to the museum's development by collecting birds and selling it mounted specimens. Though he was not successful in his application for the post of curator (around 1910), or for permanent employment at the museum (in 1915), he supplied it with so many mounted birds that long after his death his specimens still represented a third or more of those on display. The quality of his work was described by the curator, E.C. Chubb* as unrivalled, while the ornithologist P.A. Clancey has described him as "a singularly gifted taxidermist" (Winterbottem & Clancey, 1964, p. 18). Some of his specimens were bought by overseas museums, such as the American Museum of Natural History. Chubb recorded one or two species of birds collected by Millar that were new to the South African list at the time, just before World War I (1914-1918). However, because his mounted specimens lacked pertinent information his collections turned out to be of limited historical importance. Millar published only three short ornithological papers: "Golden Cuckoo, C. cupulis" (South African Journal of Natural History, 1926, Vol. 6, pp. 28-29); "The Emerald Cuckoo" (The Ostrich, 1943, Vol. 14, p. 418); and "The Estrilda nitidula waxbill (Mandingoa nitidula)" (The Ostrich, 1944, Vol. 15, pp. 134-135). Millar had artistic talents and in 1926 was engaged by the sugar magnate William A. Campbell of Mount Edgecombe to paint all known South African birds with a view to producing a book on the subject that Campbell thought of sponsoring. Working from some 800 bird skins provided by the Transvaal Museum and the South African Museum, Millar completed his work about three years later. However, the book was never produced. In 1934 Millar was planning an exhibition of his pictures of South African bird life. The paintings were later acquired by an overseas buyer and have become items of Africana. Butterflies were another of Millar's interests and a number of his specimens are in the Durban Natural History Museum. These were well labelled, in contrast to those of his brother. Millar was elected an honorary life members of the Southern African Ornithological Society in 1948 for his considerable pioneering work in ornithology in Natal. His name was furthermore added to the Durban Civic Honours Book for his work on birds and insects. In his later years he said, "nature is the life-blood of my existence" (Quickelberge, 1987, p. 76). He died at an advanced age in 1961. Ashton, E.H. Southern African Ornithological Society. Bokmakierie, 1980, Vol. 32, pp. 26-76. Clancey, P.A. The birds of Natal and Zululand (pp. xxiii-xxvi). Edinburgh: Oliver & Boyd, 1964. Clancey, P.A. A one-time Mecca for ornithologists. Natalia, 1975, Vol. 5, pp. 29-35. Google scholar. http://scholar.google.co.za Publications by H.M. Millar. Natal who's who. Durban, 1906. National Automated Archival Information Retrieval System (NAAIRS). http://www.national.archives.gov.za/naairs.htm Documents relating to Millar, Harold Martel / Millar, Harold M. /Millar, Harold / Millar, H.M.
Quickelberge, C. Collections and recollections. The Durban Natural History Museum, 1887-1987. Durban Natural History Museum, 1987. Winterbottom, J.M. & Clancey, P.A. The development of ornithology in South Africa. Lantern, September 1964, Vol. 14(1), pp. 13-22.